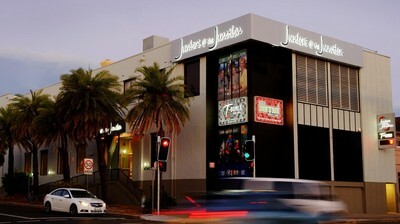 Juniors at the Junction is the latest addition to the 'Juniors' group of clubs. The recently re-vamped club now features a host of free entertainment, weekly promotions, and a brand new TAB, with 15 TVs. Every Monday and Tuesday, you can look forward to Bingo, with $650 in prizes. On Fridays you can try your luck in the Monster Meat Raffle, with 40 meat trays to be won each week. On Sundays you can try again at a meat raffle with 25 prizes. Time: Tickets on sale 2pm, draw begins 3pm. On Thursdays you can take part in the Plastic Fantastic promotion, with $530 in gift vouchers plus bonus prizes to be won. T-Bones Bar & Grill is located on the ground floor of the club, and claims to be the 'Home of the Best Steak in Maroubra'. In fact the menu has incredibly high quality produce, and is very well priced, including Certified Grain Fed Angus Beef - aged 240 days. A 300gram Scotch Fillet is $25. A 500gram T-Bone from Nolan's Private Selection in Gympie Queensland (MSA 4-5 grade) will set you back $30. Not bad at all if you can handle such a huge slab of cow. This is not a production line style of dining. They ask that you allow a minimum of 25 minutes to cook and rest a well done steak. Outstanding on the entree menu is Pan Seared Scallops with creamy sweet corn and dill, fried parsnips and muscatel syrup. However, you can't go wrong with the Rack of Lamb with garlic aioli, potato fondant and baby spinach. T-Bones Bar & Grill is open for lunch Wednesday, Thursday, Friday and Sunday from 11.30am to 2.30pm. Dinner on Wednesday, Thursday and Sunday from 5.30pm till 9pm - and Friday and Saturday from 5.30pm till 10pm. If you're planning to see a show at the club, then you may like to book a dinner and show package. If you're only feeling slightly peckish, there is also a coffee shop on the ground floor, serving sandwiches, wedges, cakes, pastries and more. Bar: The Underground Bar and Lounge has been designed to cater for the 30 crowd. Featuring music of the retro style from the 70's and 80's, it's a great place for those who would like to enjoy an evening out after dinner or a show. The Underground is open Fridays and Saturdays from 8pm till late. Entry is free. Shows: The club features some great shows. 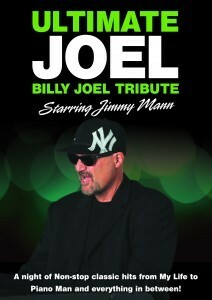 Coming up is the Ultimate Joel Show, featuring all of the Billy Joel hits performed by Jimmy Mann. Date: Saturday 9th July from 8.30pm. Next time you're in the Eastern Suburbs, and looking for somewhere bright and vibey for a drink, a meal, or a show - why not drop in to Juniors at the Junction. That's good news, that the Underground is opened again.